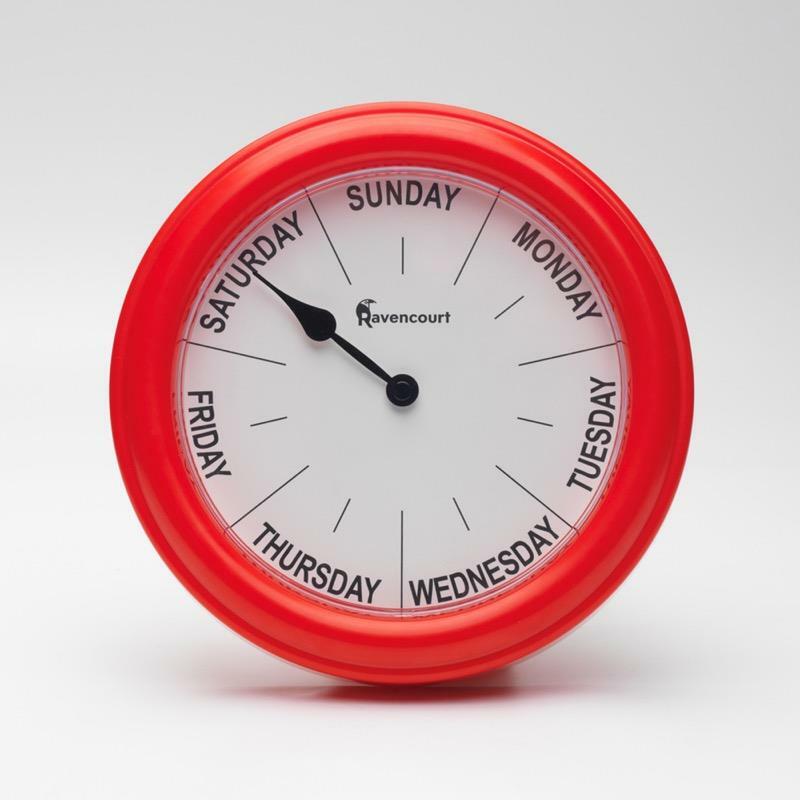 This Red Clock is easy to read and has been designed to help those people living with Dementia remember which day of the week it is. The vibrant red colour increases visibility and the wording and hands are large and bold. This vibrant Red Clock has been specifically designed to help Dementia sufferers to remember what day of the week it is. It features easy to read large bold wording and hands and the vivid red colour increases visibility. Day clocks have been shown to ease confusion and anxiety that people living with Dementia feel.